Granville Woods, born in Columbus in April 1856, was a famous African-American inventor who received more than 60 patents for electrical and other devices. He became known as the "Black Edison" due to the variety of his inventions. His inventions focused on the railroad industry and on electricity flow. One of his inventions boosted railroad safety: a system to gauge distance between trains which would alert the conductor prior to any impacts. Woods attended school in Columbus, OH until age 10, and was then self taught either through books or on-the-job training. He also attended night school. He valued a good education and sought to expand his knowledge in order to bring his inventions to fruition. 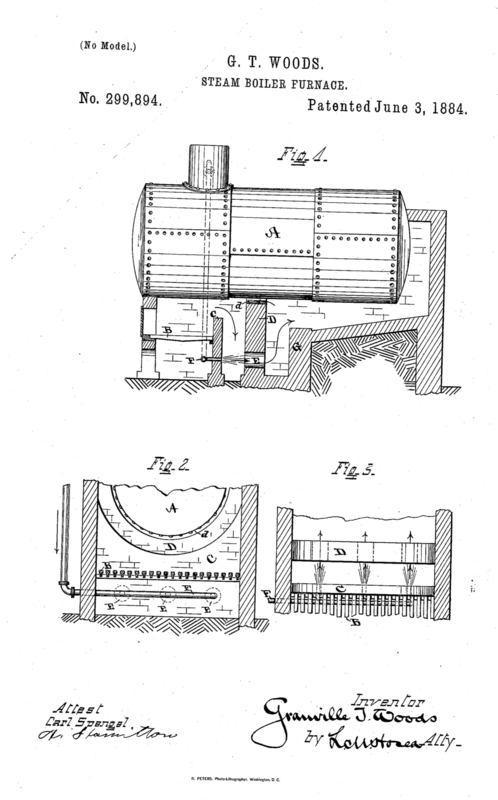 Wood had a variety of jobs prior to dedicating himself to his inventions full time. He served as fireman and engineer on the Danville and Southern Railroad in Missouri, he worked in a Missouri rolling mill, and he also traveled east to work in a machine shop. Eventually he returned to Ohio, settled in Cincinnati, and opened the Woods Electrical Company with his brother. He succeeded in selling several inventions to large corporations including American Bell Telephone Company, General Electric, and Westinghouse Air Brake Company. In 1888 Woods patented his system for overhead electric conducting lines for railroads. This invention laid the groundwork for rapid transit and trolley systems throughout the U.S.